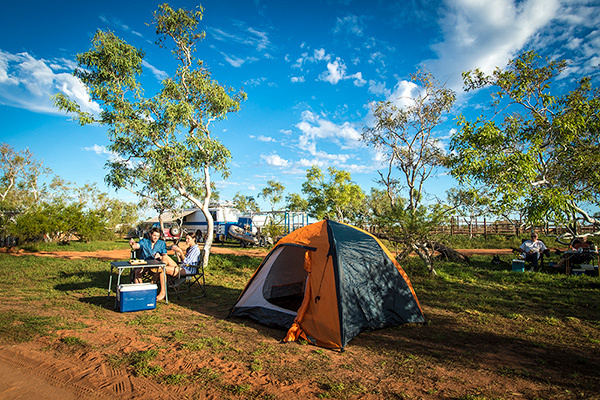 Camping with the family can be lots of fun, especially here in QLD with so many and varied places to go. 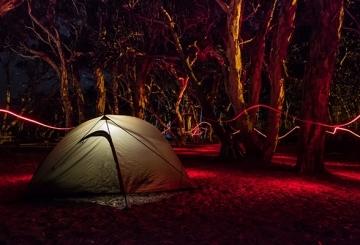 We are curious – where do you most like to go camping? By the beach, in the bush, on a farm, by a lake or in the hills? Click the LINK below for a simple survey. Where do you most like to go camping with the family? There has been many studies carried out over recent years showing that the current generation of youngsters are spending more time in front of devices and less time playing outside. We think this is a travesty. So, how do you inspire your child to get outside and explore the natural world around them? Camping! Ages 10-13: Children are becoming increasingly conditioned physically. Emotionally, they are more likely to be able to handle moderately challenging situations, but they are also more likely to question the worth of anything extremely difficult. Hikes up to 15km are possible as long as the terrain is not too hilly or mountainous. Children in this age group thrive on being the leader — diplomatic and judicious support from parents is key. Menu planning, route finding, cooking, and camp setup are reasonable tasks to assign to kids at this age, but be careful that they do not take on too much and begin to feel like all they are doing is working. Practical Solutions - making the outdoors a habit! Making outdoors a habit can be easy if you know how. Here is a list of simple ideas to try, adapt and add to, and many of them you can do right in your own backyard. These groups and activities are suitable for kids of all ages, so join your children and get outdoors! Try a night walk. Bring a torch for fun and safety, but be sure to turn them off for listening to the nature sounds and stargazing. Go on a nature walk. Smell flowers or hug a tree. Look for animal footprints. Watch insects. But remember, soaking up the smells, sounds and sights is sufficient, and leave only footprints behind. Get outside. First, set up any outdoor space you have access to so that it’s inviting, and spend time outside with your child. A sandbox, wading pool, swing, climbing structure or garden will keep your child entertained for hours. But if permanent structures aren’t possible, think impermanent: A tablecloth teepee or a bucket of water with funnels and cups, or a shovel to dig a hole you can later refill. Plant a native tree. Together, take responsibility for your tree or shrub. Care for it, and you and your child will reap the satisfaction in the months and years to come. Grow a herb garden. This could be a window box, or be included in a vegetable patch if you have the outdoor space. Choose plants that your child will eat and enjoy, and especially those that develop before your eyes. For example, herbs are generally quick to mature, and bush tomatoes change colour as they grow. Take your camera out into the backyard, a nature strip or a nearby park, and photograph areas of nature where you think animals might live. Take pictures of trees, leaves and grasses and see if you can name the plants/animals when you get home. By printing them off and sticking them into a book, your child can create their own story. 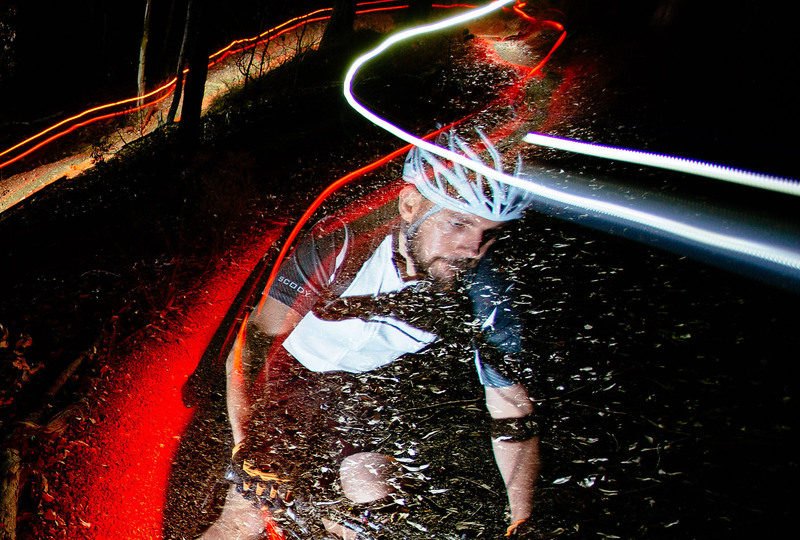 Go on an adventure bike ride. Remember all your cycling safety, and simply enjoy riding in the fresh air. Go on a picnic. Pencil in your diary or on the family calendar one day to venture out into nature. Encourage your children to help pack the food, and discuss where it has come from. You could picnic at your local park, beach, river or even just in the back garden. Set up a colouring in and painting table. Ask your child to draw or paint a number of environmental images, including trees, rivers, and animals. You can also use leaves that have fallen off trees as stamps, by painting them and pressing onto paper. If you can, doing this outside is perfect. See your child’s interpretation of nature. Lend a hand in the garden. If you do have a garden space, ask you child to assist with raking leaves and pulling weeds. Check out if you have a community garden in your local area by searching on Communitygarden.org.au. Take an indoor toy outdoors. Introduce your child’s favourite toy, game or book to nature. Create an obstacle course. This could be indoors or outdoors, and you could use trees to run around, a pile of leaves to jump over, a stick ladder on the lawn. Create a collection of nature objects. Try and collect one item each day. It could be as simple as a leaf or a stone. Use each object to tell a story – perhaps about where it came from and what or who it has come across before reaching your hand. Although make sure you don’t take anything from a National Park, or any animal’s homes. Visit a local look out, hill or mountain. See the world from a different view. Talk about how birds and animals see the world differently to us. Discuss what the world might look like for a magpie, and how it might seem for an ant. If it’s safe, roll down the hill – careful not to get too dizzy! Watch the sunrise or the sunset. Find a natural environment to watch the sunset. If you aren’t by the sea or a river, you could watch the sun rise or fall behind a tree in the local park. Make a grass trumpet. Pull a blade of grass (making sure it’s clean) and put it between your lips. Press your lips and blow out, trying to push the air out of your mouth. It will make a squeaky, trumpet-like sound kids will love and be fascinated by. Go camping. Set a date to go camping with your family. There are great options for hiring camping gear if you don’t have the resources (time/money/storage space) to own it. Look for shapes in the clouds. Sit down and create a story. As the clouds change, the story will evolve. Create a nature mystery bag. Find a box and put in a collection of nature objects, with different textures and shapes. Ask you child to guess what it is, and discuss where it’s come from. Next time they’re outside, ask them to collect some natural items (safely – or with the assistance of another adult), for them to create a mystery box for you. Start a nature journal. Ask your child to write down all their favourite things in nature. If there’s something they’ve learnt about, but haven’t seen, add it to the list and try and find a time and place to catch a glimpse or make a visit. Use this to reflect as well. How did they feel when they saw it? Where were they, and who were they with? What was the weather like? Keep adding to the list, and watch it grow and change. One of our favorite summer activities for families is camping. For those that aren’t sure about camping with kids, here are some tips for making it doable with kids. Here is the truth, I don’t really like camping all that much, and that’s exactly why I have prepared this guide to camping with kids! Because I learned that by making it simpler and more comfortable, I start to mind less bugs and public bathrooms and appreciate more forest hikes, and canoeing on the lake. Camping is a great activity for the whole family. Especially since it means kids and teens alike can experience the great outdoors sans electronics. 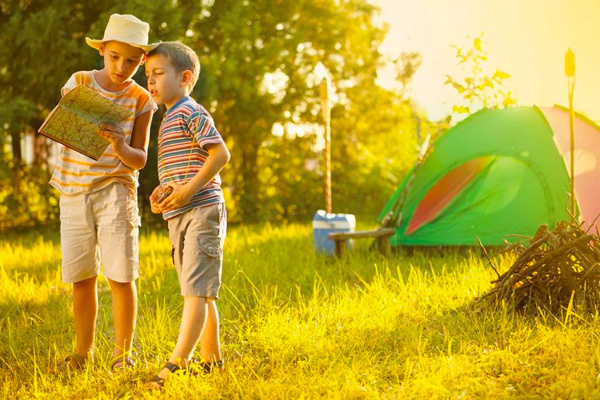 On your downtime at the campsite, celebrate screen-free time with camping games for kids. Sometimes the best, or at least most memorable, stories are the ones you make up on the spot. They don’t have to be good. They don’t even have to make sense. What matters is that you took the time to make them up and deliver them in a way that will be remembered for years to come. There’s little as relaxing as playing a nice game of cards around a roaring fire. The competition is matched only by the camaraderie, and the fire pit provides the perfect atmosphere for all of it. Of course, you might want to get another light source for the actual cards. But a roaring fire is the perfect companion to the roaring laughter of friends playing cards. So raise, call or go fish around the flame. It was not that long ago that watching a movie outdoors meant being tethered to your home by a very long extension cord. You were outdoors, but just barely. Today, the game has changed. Not only can you watch movies outdoors with cordless projectors and portable computers, but those movies are in theater-quality high definition. Add to that some quality speakers and you have a full theater experience in the middle of the outdoors. There’s nothing like watching your favorite movies while making a s’more. Much like the previous section on projectors, the days of needing electricity or a small crate of batteries to play music outdoors are over. Today, you can plug in and charge a decent Bluetooth speaker, small enough to fit anywhere and powerful enough to fill any space. Just be careful not to raise the volume enough to warrant a noise complaint from the neighbors. If playing music over your speakers doesn’t sound fun enough and, more importantly, if you or someone you know is talented enough to make it happen, you could always play music live. Someone can bring their acoustic guitar, take some requests, and make the night memorable. Add the soothing atmosphere of the fire pit and you have a perfect night. There is something to be said for the relaxing element a fire pit can add to a day or evening. Get the most out of that zen with a little reflective relaxation by journaling. This means different things to different people. For some, it might just be recounting the day for posterity. For others, it takes a meditation on the meaning of life through the lens of last night’s dinner or a quote from a movie. For others, it may be a few doodles or a serious sketch accompanied by a poem. Whatever it means to you, putting pencil to paper next to the fire might be the best way to spend a lazy morning, afternoon, night, whatever works for you. Camping as a family is an excellent way to bond and connect with each other. Coming prepared with a few simple games and activities can help keep everyone happy, engaged and active. Check out these 21 easy family camping games to see how fun it can be to pass the time around the campsite, the campfire or in the comfort of your tent! I’ve been collecting ideas that I thought I’d share with you, the games we’ve played for years around the campfire with family and friends. If I had to pick out a centerpiece of summer, though, it would have to be the campfire. They have a magical way of bringing people together, inviting them to laugh, sing, and tell secrets. The sparkling golden hues of the fire, the crackles of the wood popping, the bright constellations above, and the warmth of people gathered around a central focus… I love campfires. Campfire games were always the highlight of the carefree, summer nights of childhood. Whether part of summer camp activities or during a family weekend trip, many of us have blissful memories engaging with our friends well past bedtime curfews. There were no smartphones or other gadgets in sight to distract the attention of campfire game participants. The only thing that may have distracted everyone was the occasional crackle of what “sounded like footsteps” in the distant woods or when it was time to eat the melted deflated puff of a marshmallow that was strategically cooked over the sizzling roasting fire. Help us get more kids outdoors more often! Share your Family Camping ideas? Do you have any interesting or useful resources or links to share?